The PMC leads Alaska in reclamation, erosion control, research, technology and knowledge transfer, and revegetation. Research priorities include the use of dormant seedlings to extend planting seasons, cost-effective methods of willow planting, and wetland ecosystem restoration. This program has gathered at least 275 plot-years of information from sites around the state, and developed 11 new cultivars and 33 natural "Selected Class" germplasms for release.The PMC maintains these collections, as well as the 9 cultivars developed by the University of Alaska Fairbanks and the Agriculture Research Service for use in revegetation and reclamation. 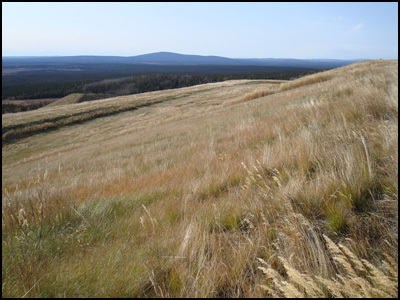 Native plants from Alaska are needed for small and large scale revegetation projects, mine site rehabilitation, landscaping on public and private lands, stream bank restoration and habitat enhancement. The Alaska Plant Materials Center is continually involved in propagation and testing of native plants through seed increase programs. The PMC supports the commercial utilization of native plants for revegetation and environmental reclamation for several reasons. By using native plant material, disturbed sites can be brought back to a condition as close as possible to what was there before the disturbance because they have long-term climatic adaptations. This also ensures that there are fewer invasive species that would compete with native vegetation. The Plant Materials Center maintains a Directory of Native Plant Sources, which lists commercial suppliers of grass seed, wildflower seed / plants, Alaska trees and shrubs, and revegetation resources.